Man alive I spend a lot of time on Social Media... like my phone is permanently glued to my hand and my laptop is always near. It's nice to unplug every once in a while, but I really miss all of my friends when I do "unplug." 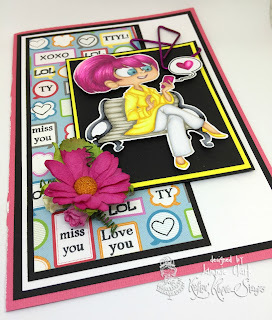 It's just the society we live in today, don't fight it.... it's all gunna be ok.
With all of that being said, I was inspired to use little Miss Social Sally today for my anything goes card for the very last Wonderful Wednesday of the month. I can't believe that July is gone and August is upon us. Soon the kids will be going back to school and the grind of the "normal" will be back upon us. I'm sooooo excited! ha ha ha! I hope that you totally love this and that it inspires you to join in our Wonderful Wednesday Anything Goes challenge this week! 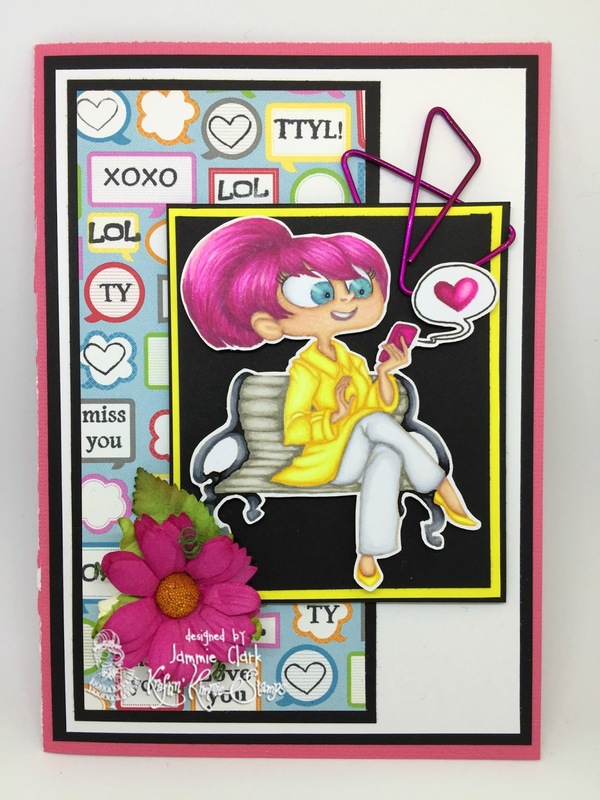 You have precisely one week from today to get your cards entered over on the Kraftin Kimmie Blog, so lets see what ya got! Woohoo! Ok, I need more coffee, and I gotta find my phone, oh there it is, on my desk, next to my computer.... sheesh.... yeah, I NEED more coffee! hahahaha! Tootles!